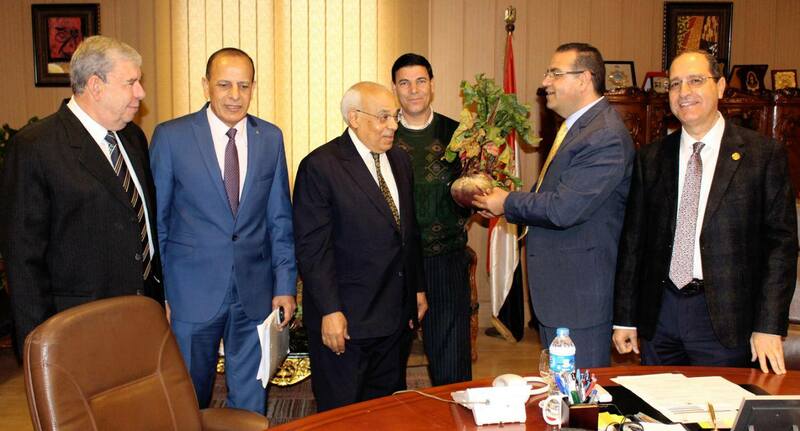 On Saturday 15th April 2017, Prof. Mohamed Kenawy - President of Mansoura University, received a research team at the Department of Plant Pathology - Faculty of Agriculture. 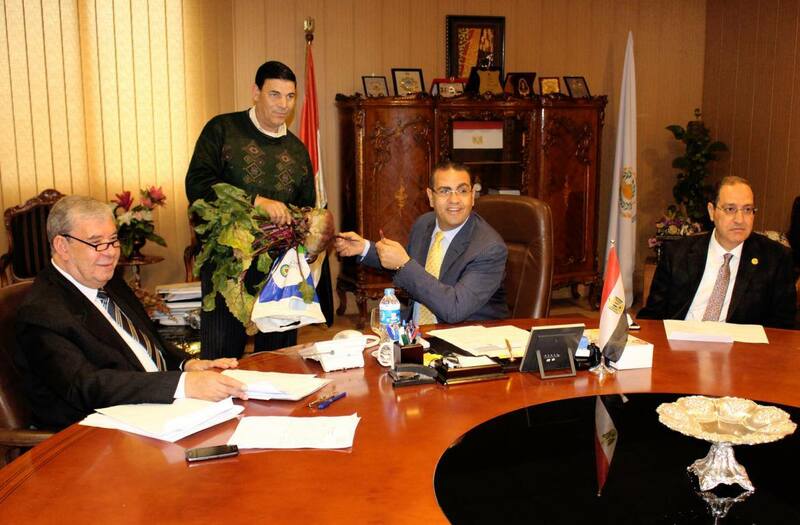 The team headed by Prof. Mohamed Abdel Rahman - Professor at the Department of Plant Pathology, to discuss the details of a research project on how to increase the size of table beetroot. The team succeeded in producing the largest beetroot that weights 5 kg through stimulating the immune system of the seed embryo and using the one treatment before the cultivation using antioxidants. 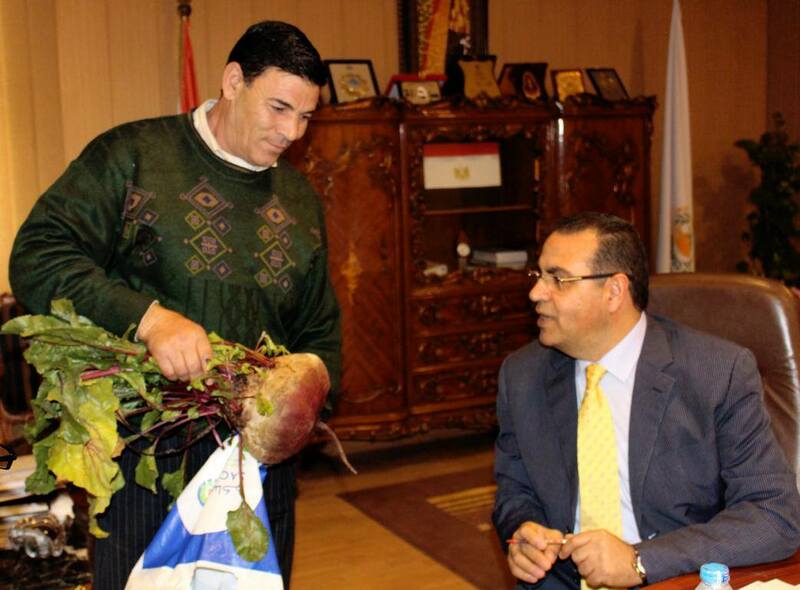 Its worth to mention that beetroots were produced at fields of the plant diseases department campus. 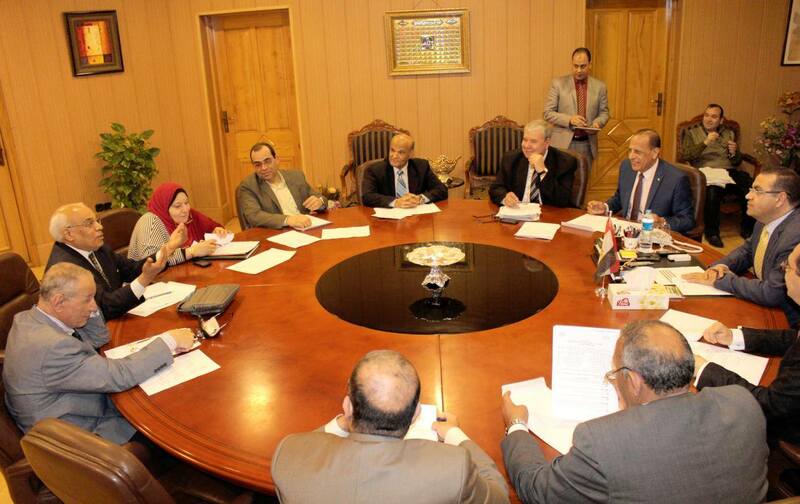 The results of the project were presented to the Genetic Engineering Committee that confirmed the importance of the project results. It is worth to mention that the research team has already done this before on the seeds of wheat, barley, potatoes, tomatoes, cucumbers, beans, soybeans, sugar beet, sesame and peas to increase the production about 30% - 150% according to the cultivated crop. 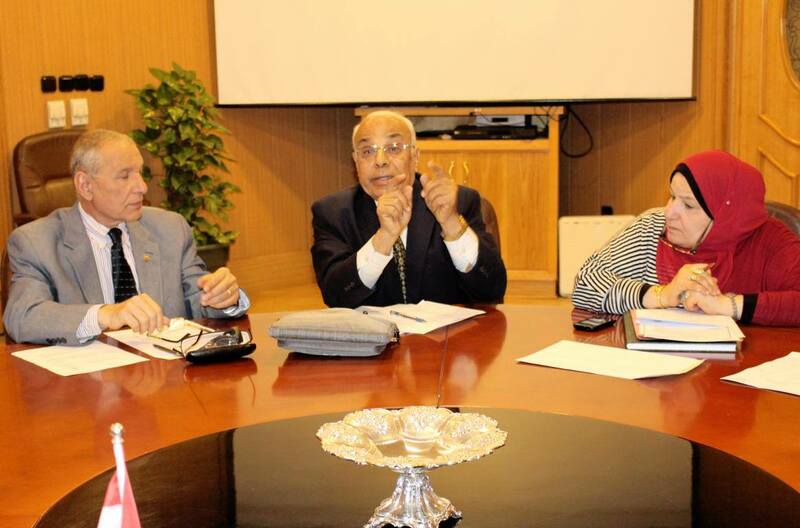 On his side prof/ Kenawy assured that the research project comes within the university strategy to change the research plans in order to solve social problems, as the faculty of Agriculture represents the scientific base for scientific research.